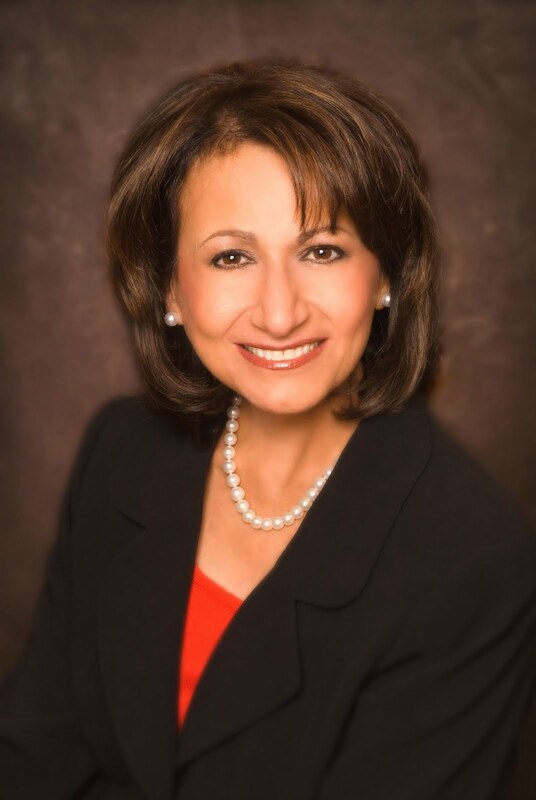 Hope HealthCare Services President and CEO Samira K. Beckwith has been elected to the Board of Directors of the National Coalition for Cancer Survivors (NCSS). NCCS is an advocacy organization that represents the millions of Americans who have lived with, through and beyond a cancer diagnosis. Beckwith’s term on the NCCS board runs through 2014. The month of November is the gateway to the holiday season. For many people, it is a time of love and giving. 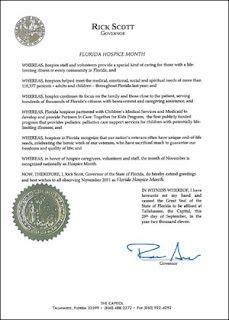 National Hospice Month, observed every November, is also an occasion for love and giving – and sharing Hope. Hospice is truly a way of giving and sharing Hope, as it makes the journey less difficult for those in our care, along with their loved ones. Research continues to show that hospice care actually prolongs and improves a person’s quality of life. 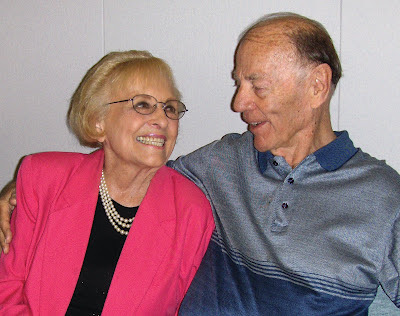 She had the support of our Hope Hospice care team, which provided expert medical care to keep her husband comfortable, enabling them to focus on the quality of their time together. Emotional and spiritual support for the entire family ensured their wishes and preferences were always the priority. National Hospice Month is a time to raise awareness of everyone’s need to discuss their wishes and views for care during a serious illness. This is one of the greatest gifts that we can each give to those we love. And after these discussions it is important to document these wishes in a living will, also known as advance directives, as well as the designation of a health care surrogate. When complete, this simple document states your future healthcare wishes and preferences. In the event you become unable to speak for yourself, your family will be informed of your choices. Call to tell them you’re bringing their favorite dish and what time you’re coming. Use disposable containers. 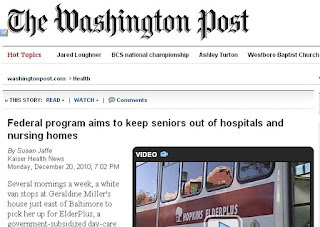 Offer to stay with them, to give their caregivers a break. Invite them out; take them places. Help them to celebrate holidays (and life) by decorating their home or room. Say “I care” through a card, a note or any other meaningful way. We’ve learned through our experience that even the smallest gestures of care can be the most meaningful and lasting. Hope can help. To learn more, please visit hopehcs.org, or call (800) 835-1673. Hope encourages everyone to complete an advance directives document. “Five Wishes” includes all the necessary documents and is available on line at no cost at hopehcs.org/fivewishes or by calling (239) 985-7789. We went to see the movie “50/50.” So should you. Not because it was an entertaining movie, which it was. Not because it was a moving tribute to the best and worst we humans have to offer, which it was. Not because the guy got the girl in the end and vice versa, which is what happened. Not because the quality of the writing, the acting and the photography were excellent. The movie is about a cancer patient, but it is more about dying and what the possibility of dying does to our lifestyle, our relationships and our psyche. It spurred in us a discussion of what we want when we are dying. Our talk went beyond the legal stuff. Sure, we have a living will. We haven’t paid much attention to it and filled out the forms by necessity, not after enough reflection. Sure, I have long-term insurance to pay for a nursing home. Sure, the government will provide somehow if the insurance isn’t there. But what do we want from each other? And from other members of our family? Janet doesn’t like people around when she is ill. Like a deer, she wants to lie in a thicket and lick her wounds. But, we discovered as we continued to talk, it isn’t that simple. She wants me somewhere near. She wants to know that my presence is there and that I am available. I discovered that I wanted two things: Not to be totally alone and not to burden Janet. I know Janet will find it hard to honor that second wish, but it is real and she needs to make it a major part of her decisions. I recommend more than seeing the movie. I recommend that estate lawyers use it at seminars, that hospitals make it available for groups and that the hospice people offer copies to families of a newly admitted patient. Because our discussions, while long, haven’t ended. The holiday season is a popular time to pop the question, and Hope Chest, the Hope resale store, is ready to serve the bride-to-be. Among the new and gently used items donated to the “Love That Dress” event earlier this year were 150 wedding gowns, from the simple to the extravagant, ranging in size from 4 to 26. The event was held by the Lee County PACE Center for Girls. Through a joint partnership between the PACE Center for Girls and Hope PACE (Program of All-Inclusive Care for the Elderly), the gowns are now available at Hope Chest, in North Fort Myers, at a fraction of their original prices. When Anna Ellis finished nursing school, she decided to join the service. She boarded a trolley in her hometown of Mahwah, New Jersey, planning to enlist at the first recruiting office she passed. She joined the Navy. Now in the care of Hope Hospice at age 88, the Hope Honor Guard conducted a ceremony to thank Mrs. Ellis for serving her country. 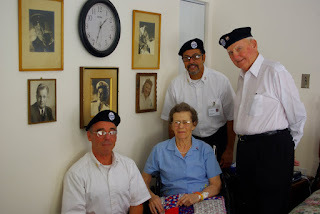 Honor Guard members are Hope volunteers and fellow veterans. Veterans in Hope’s care are honored with a special ceremony and the presentation of a Certificate of Appreciation. They are also invited to participate in the Library of Congress Veterans’ History Project recording wartime stories. The Hope VALOR program - Veterans’ Access to Life Opportunities and Resources - provides additional resources for meeting veterans’ needs related to military service, combat experience, traumatic events and other issues. Along with the Certificate of Appreciation, the Honor Guard presented Mrs. Ellis with a specially made camouflage teddy bear. 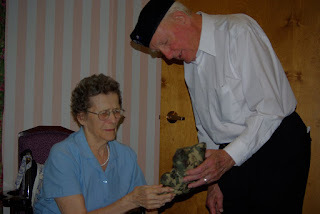 Hope Honor Guard member presents Anna Ellis with a specially made camouflage teddy bear in recognition of her service to the country as a Navy nurse. 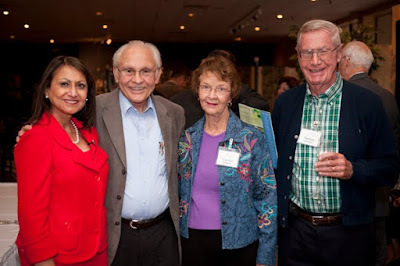 From left – Jim Cerami, Anna Ellis, Ernesto Cruz, Earl Edmondson. The ceremony was held at the Crown Pointe assisted living facility in Sebring. Hope HealthCare Services has reached the highest level of achievement in the National Hospice and Palliative Care Organization’s (NHPCO) We Honor Veterans program. The program requires superior standards of quality to ensure that veterans receive the best in care, support, and access to VA benefits. 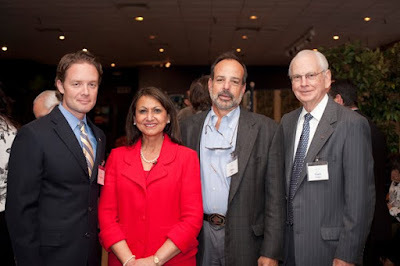 We Honor Veterans complements Hope’s longstanding VALOR program - Veterans’ Access to Life Opportunities and Resources. According to Beckwith, the VALOR program was developed to provide the support and respect that America’s veterans, men and women, deserve. Veterans in Hope’s care are honored with a special ceremony and the presentation of a Certificate of Appreciation. They are also invited to participate in the Library of Congress Veterans’ History Project recording wartime stories. Together, VALOR and We Honor Veterans provides additional resources for meeting veterans’ needs related to military service, combat experience, traumatic events and other issues. “We are so deeply grateful for the veterans’ service to our country, and it is a privilege to be able to meet their needs in partnership with NHPCO,” Beckwith said. Samira K. Beckwith, president and CEO of Hope HealthCare Services, has been elected to The Ohio State University Alumni Association’s Board of Directors. She will start her five-year term at the conclusion of the September Board of Directors meeting. The Board of Directors is selected by a five-member nominating committee who recommend the directors-elect for consideration after reviewing a nationwide base of candidates. Beckwith worked her way through college at Ohio State, earning Bachelor and Master degrees in Social Work. In 2009, she received the Alumni Association’s highest honor, the Alumni Medalist Award. “Like so many of my fellow alums, I take every opportunity to tell everyone I can about the path to a bright future that The Ohio State University provided to me and available for so many others,” Beckwith said. “It is a privilege to serve as an ambassador for my alma mater. While in graduate school at Ohio State, Beckwith was diagnosed with Hodgkins disease. This started her down a path that has led her to become one of the nation’s foremost advocates for improved end-of-life care. She worked in the field and taught at multiple universities before accepting the position at Hope. She is celebrating her 20th anniversary as Hope’s top executive. 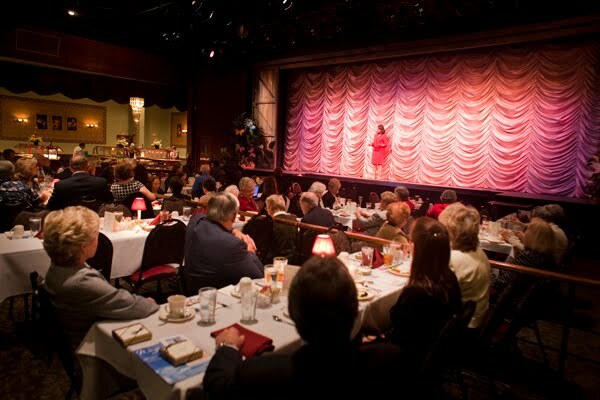 The Alumni Association is a dues-supported organization of graduates, former students, and friends of the university with more than 122,000 members. For more than 125 years, the Alumni Association has been dedicated to connecting alumni, friends and students to enhance and strengthen the traditions and reputation of The Ohio State University. Beckwith has been recognized for professional and personal achievements on the local, state and national levels. She was recently awarded the Ellis Island Medal of Honor, one of the nation’s most prestigious awards, and the Lifetime Achievement Award from the Stevie Awards for Women in Business. 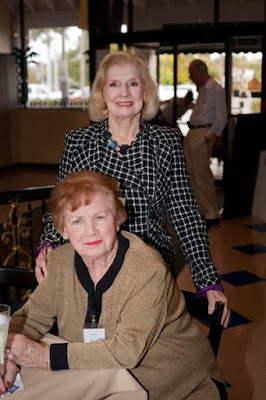 Her previous honors include the APEX Award from the Greater Fort Myers Chamber of Commerce, Gulfshore Life magazine’s Woman of the Year, and the Junior Achievement of Lee County’s Business Leadership Hall of Fame. Hope HealthCare Services is leading a state and national trend in making facilities more energy efficient and environmentally friendly. 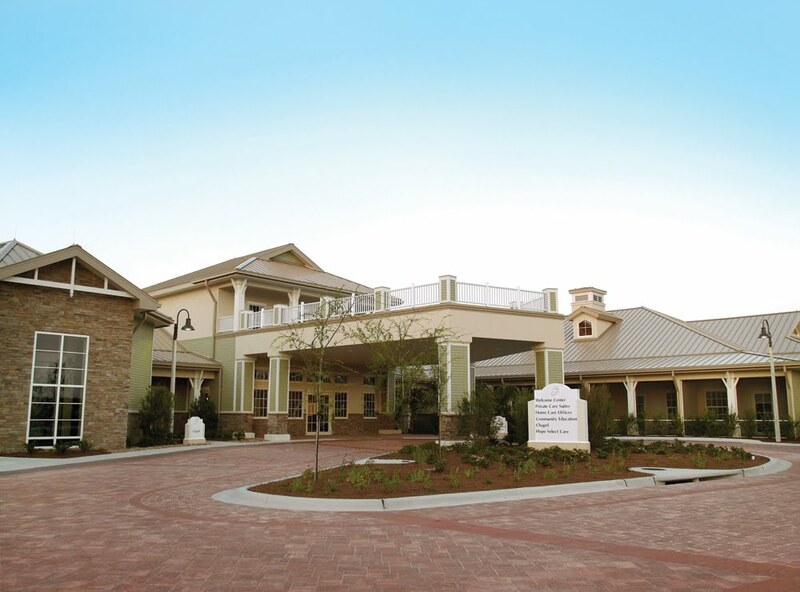 The Center is the first LEED certified hospice facility in Florida and one of just four in the entire country. It is the first LEED certified building in Lehigh Acres. Xeriscaping, using native vegetation in landscaping, requiring less maintenance, and no irrigation after the first year. Maximized natural lighting inside the building. Motion-sensitive light switches to save power when a room is not in use. “We are very pleased that the finished Center accomplishes all of our goals, enabling us to provide the highest levels of care in an eco-friendly setting,” Beckwith said. The 46,000 square foot Center, built by Kraft Construction, includes 24 individual hospice care suites; a PACE (Program of All-inclusive Care for the Elderly) facility for daily activities; a café; a chapel available for memorial services, and community meeting facilities. One of the sorriest lies told in the health care reform debate last year was about end-of-life counseling for terminally ill people. The proposed reform law provided that such counseling, routine and widely advocated by professionals, would now be specifically covered by Medicare, and thus encouraged. Demagogues invented the phrase “death panels” to describe this counseling, claiming they would pressure elderly patients and other patients to cease medical treatment to save money. This put bill backers on the defensive. That was despite the insistence of health care professionals that end-of-life counseling was already a routine part of the conversation between doctors and terminally ill patients, covering such issues as treatment options; when a patient wants to end life-saving treatment, if he or she does; how much pain they want to endure; and where a patient prefers to spend the time left. The provision was removed from the law, one of several compromises deemed necessary to get it passed. Now, a directive in Medicare rules that would have allowed doctors to be reimbursed for this counseling as part of a beneficiary’s yearly exam, has been removed. The counseling can and will continue; it’s hard to imagine doctors and patients dealing with terminal illness otherwise. But the reimbursement is not specific, and this common sense and routine practice will not be explicitly encouraged in the rules. The reason is political. The Obama administration is trying to blunt efforts from opponents who want to repeal the health care law. The Democrats will fight to prevent repeal, but they presumably don’t want the “death panel” slander bogging down any discussions that do take place. It’s a shameful abandonment of good policy and good medicine. 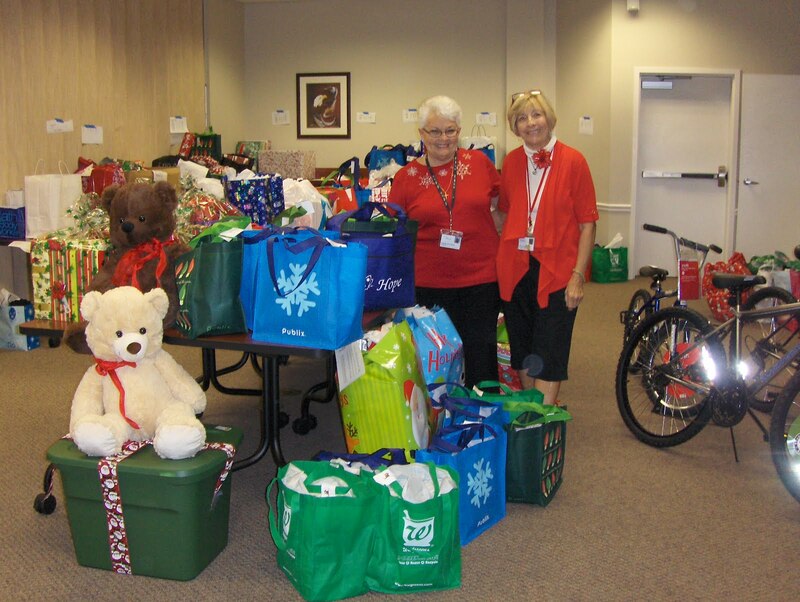 Each year during the holiday season, Hope Hospice works to ensure that the joys of the season are shared by those in our care through the Adopt-A-Family program. Thanks to the outpouring of generosity from our community even during these uncertain economic times special gifts were provided to 145 families and 348 individuals in Hope's care. You shared the holiday spirit in many forms: Warm robes and slippers to comfort the elderly spending the holidays without family; shiny new bikes and other toys that brought joy to children coping with life-limiting illness, and gift cards so families caring for a loved one could enjoy a little respite at a favorite restaurant. Some of the most touching moments this year came from those who humbly requested the most basic necessities, like groceries for a holiday meal and shoes to replace a worn-out pair items that many of us may take for granted became cherished gifts this holiday season. Each year during the holiday season, we're honored to have the privilege of helping our families celebrate the holidays through Hope's Adopt-a-Family. 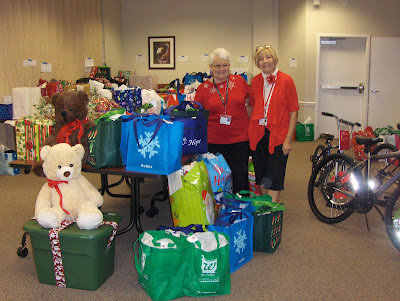 We are deeply grateful to those of you who helped make the 2010 holiday season more special for those in our care. On behalf of everyone at Hope, I wish you all the best in the New Year. Samira K. Beckwith, president and CEO of Hope HealthCare Services, has been elected to serve as vice chair for the National Hospice Foundation Board of Trustees. In addition, Beckwith has also been appointed to a second term for the National Hospice and Palliative Care Organization’s Public Policy Committee. 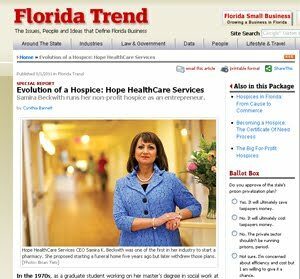 Beckwith joined Hope HealthCare Services as CEO in 1991, when the organization served fewer than 100 patients a day in the immediate Fort Myers area. Under her leadership, Hope Hospice now serves more than 2,200 people each day in Lee, Charlotte, Collier, DeSoto, Hendry, Glades, Hardee, Highlands and Polk counties. 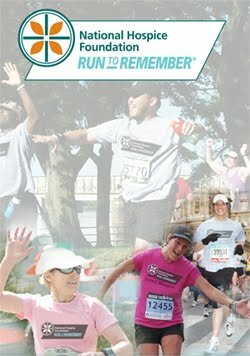 NHPCO was founded in 1978 as a charitable organization advocating for the needs of people facing life-limiting illnesses. Today, NHPCO is the world’s largest and most innovative national membership organization devoted exclusively to promoting access to hospice and palliative care and to maintaining quality care for people facing the end of life and support for their families. The NHF works in partnership with NHPCO to raise funds from individuals, foundations and corporations to fund programs that make a difference in the lives of the patients and families served by NHPCO’s membership of more than 3,400 hospice and palliative care providers. Beckwith has been recognized for professional and personal achievements on the local, state and national levels. She was recently awarded the 2010 Ellis Island Medal of Honor, one of the nation’s most prestigious awards, and in 2009 received the Alumni Medalist Award from The Ohio State University Alumni Association and the Lifetime Achievement Award from the Stevie Awards for Women in Business. 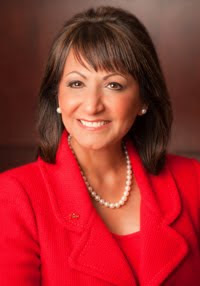 Her previous honors include the APEX Award from the Greater Fort Myers Chamber of Commerce, Gulfshore Life magazine’s Woman of the Year, Survivor of the Year for the Susan G. Komen Race for the Cure and the Junior Achievement of Lee County’s Business Leadership Hall of Fame.